Black Friday, Cyber Week, whatever you want to call it, it’s time for OHL’s annual sale! 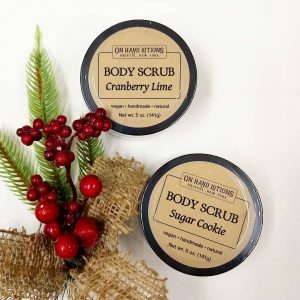 Be sure to check out all the new mix & match gift options plus the freshest premium scrubs made with real fruits and herbs: Cranberry Lime, Sugar Cookie, Pumpkin Butter, and Wild Apple. *After coupon code discount has been applied, not including sales tax and/or shipping charges. Codes valid 12:00am 11/23/2018 – 11:59pm 11/27/2018. Free shipping to US destinations only. May not be combined with other offers. Does not apply to previously placed orders.